Ruta Sepetys already proved to me that she could do no wrong when it comes to writing after I read her breath taking novel Between Shades of Gray. 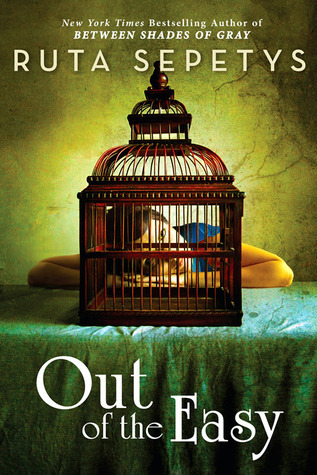 When I learned about Out of The Easy I could not wait to get my hands on it. It has been proven to me that we have hit the literary jackpot with Ruta Sepetys; Her writing is pure gold. Her lyrical writing style engulfs you in whatever story she is telling. In this case, she introduces us to one of the most lovely characters I have had the pleasure of reading. Josie is one tough cookie. She's got moxy! She is so kind hearted and genuine, but won't allow you to back her into a corner. She has a softness to her, but she knows what she wants and she'll fight for it. I admired those qualities of Josie's, and they shined throughout the entire novel. Josie wasn't the only character that rooted their way into my heart. Patrick, Jesse, Cokie, Charlie, they all made their mark. Each character was crafted beautifully. The secondary characters rocked the stage just as much as Josie. They all shared the spotlight. A suspenseful tale that plants you right into the beautiful streets of 1950's New Orleans. Ruta Sepetys delivered another epic story with unforgettable characters that will stay with you long after you've finished the novel. 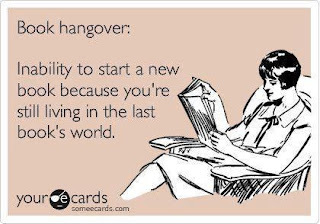 Be prepared to nurse a Book Hangover upon finishing Out of the Easy! I've read so many great things about this book. It's almost to the top of my pile. Can't wait. Thanks! Ηі, I thіnk youг ωebѕitе соuld be hаѵing web broωsеr compаtibility issueѕ. οpening in Internet Exploreг, it's got some overlapping issues. I merely wanted to give you a quick heads up! Other than that, great website! I adored this book so much and definitely had a book hangover afterward-it was that good! I still need to read Between Shades of Grey but both of her books sound absolutely amazing. Great review! Thanks so much for the review. This sounds amazing! I have been hearing a lot about it!